When it comes down to all the press and hype, his name says it all. He is Worthy. With an in-depth knowledge of production, mixing, and performance, Worthy has the insight to play for his audience, cultivating intense positive energy on the dance floor that can only be portrayed as superhuman. His sound can be described as organic breakbeats with a mix of future house, 80’s, booty bass, and techno. As Carl Cox said, “The Worthy sound has always been powerful, rocking, funky, bass-driven music at its best, and for me this is the new wave in house music.” Worthy has received the recognition of major producers who have played his tracks including Sven Vath, Diplo, and Richie Hawtin, among many. From salty aired islands to dark club basements, Worthy pays reverence to the traditional form of classic house while tripping off the mark and sinking into the euphoric less-charted territories of booty-clapping bass. Touring the globe, Worthy has performed at renowned venues like Hive in Switzerland, Sankeys in the UK, Electric Pickle in Miami, and Mezzanine in San Francisco. Beloved by his fanatical devotees, Worthy has drawn huge crowds to catch his heart-palpitating, sweat-inducing sets at festivals like Ultra, Love Parade, and Burning Man. 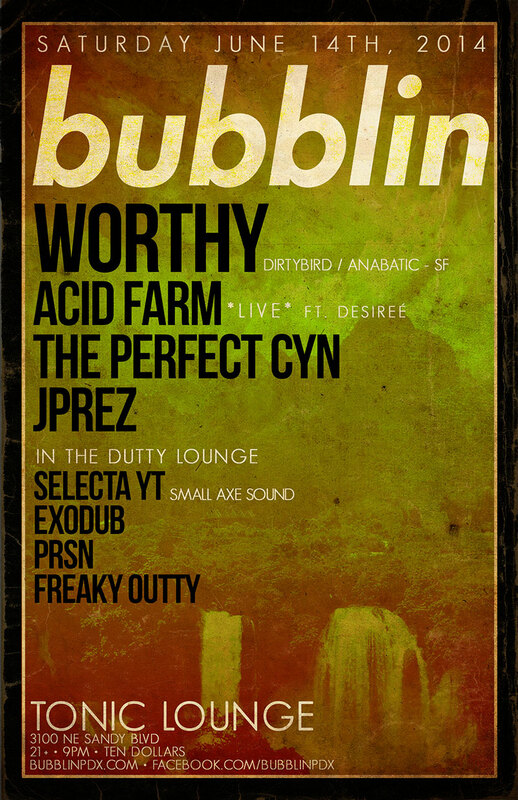 In 2011, Urb Magazine named Worthy one of the Top DJ’s To See at Burning Man, along with M.A.N.D.Y., Andy C, Soul Clap, Seth Troxler, and The Crystal Method. This entry was posted on August 25, 2014 at 4:11 pm and is filed under Uncategorized. You can follow any responses to this entry through the RSS 2.0 feed. You can leave a response, or trackback from your own site.